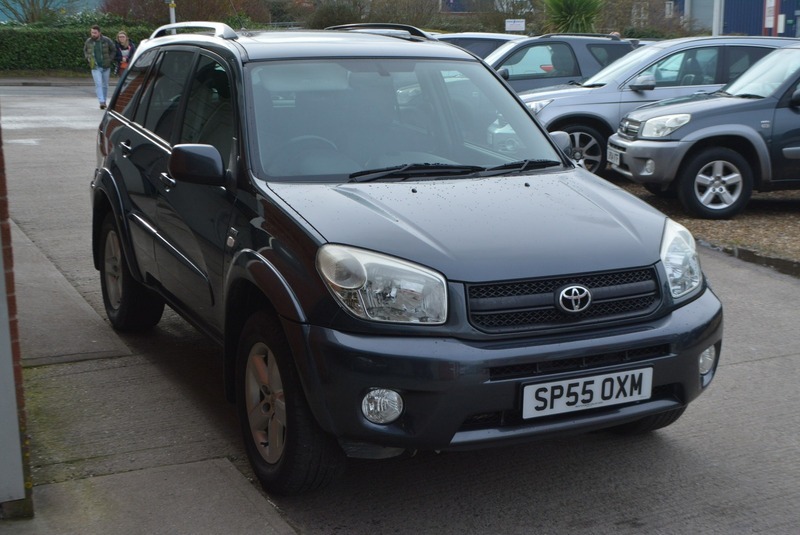 TOP SPECIFICATION AUTOMATIC RAV4 5 DOOR 4X4 IN COLOUR CODED GRAPHITE GREY METALLIC HAVING ONLY COVERED 68,000 MILES. THIS LOVELY EXAMPLE COMES WITH ALL ITS ORIGINAL SERVICE INVOICES AND INCLUDES A SALES PACKAGE OFFERING A NEW 12 MONTH MOT, NEW SERVICE CONDUCTED, 12 MONTHS COMPREHENSIVE NATIONWIDE WARRANTY AND 12 MONTHS AA BREAKDOWN COVER ALL WITHIN THE PRICE. JUST ARRIVED! Here we have a stunning TOYOTA RAV4 XT-R VVT-I AUTOMATIC 2.0L PETROL 5 DOOR 4X4 in graphite grey metallic with to tone grey cloth interior in truly exceptional condition throughout. Great service history with 7 services completed with all original servicing documentation present and a new service conducted at point of sale. This high specification model comes fully equipped with a factory fitted electric glass sunroof, alloy wheels, climate control air conditioning, rear mounted full size alloy spare wheel, fully folding and completely removable rear seats, electric windows, am/fm stereo with front loading cd player, electric mirrors, two fully remote keys and one non-remote service /valet key.